Luke's gospel records a visit between Mary and Elizabeth. It is the gospel reading for Advent 4C (Luke 1:39-45). What is the most important part of the story? That the women are pregnant? That they are different ages? That one woman acknowledges the superiority of the other? That one baby "leaped" in the womb at the voice of the other mother? At various times and places each of these things has been important. 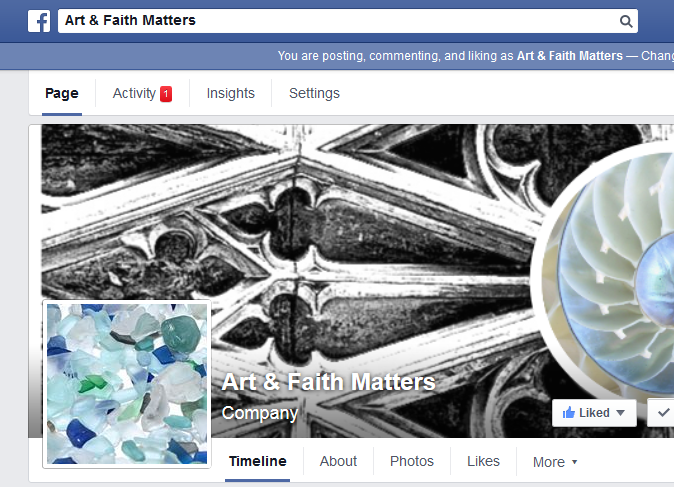 Watch the Art&Faith Matters Facebook post this week for additional images that illustrate each of these emphases. But for here...a different emphasis. A windsock. The "Windsock Visitation" was created by Br. Mickey McGrath, OSFS for the Visitation Monastery of Minneapolis. In this version, the two women greet one another. There is joy in the meeting. But unlike many of the formal arrangements that you will see on Facebook, in this meeting there is an element (perhaps more than one, but certainly one) included that seems lacking in the other. A windsock. Well, perhaps not the windsock itself...but what it symbolizes. The windsock is a symbol familiar to the Visitation Monastery. The sisters at Visitation Monastery hang a windsock outside the door every other day when neighborhood children are invited in to play and create and pray. Here Elizabeth has hung out the windsock for the child Jesus. The tails of the windsock are being blown by a wind - surely a sign of the Holy Spirit at work in this situation. The two women, their unborn children and the Holy Spirit have indeed made this a place of delight and rest. 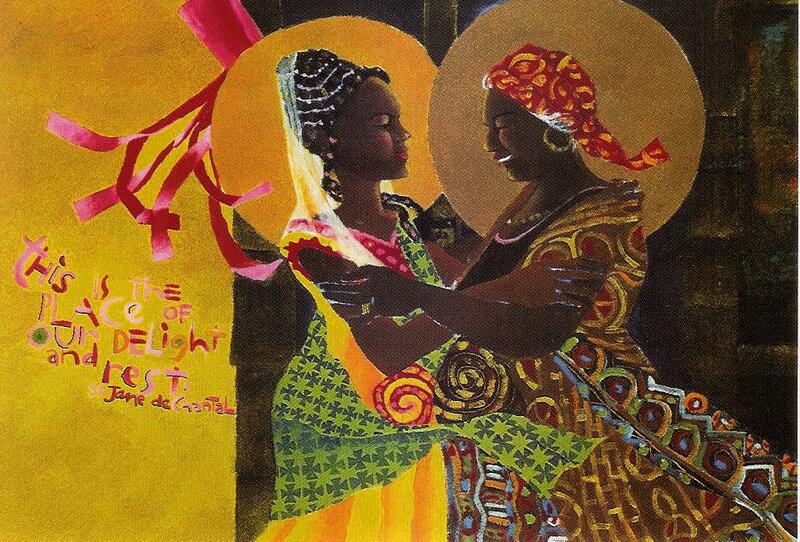 For additional thoughts on the Visitation, see Art&Faith Matters' Facebook posts here, here, and here. For thoughts on Micah 5:2-5a, click here.